If you’re interested in the power and flexibility of a self-directed IRA, American IRA recommends that you perform due diligence as early as possible. 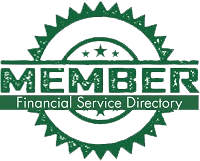 For example, when looking for a self-directed IRA administrator, there are a number of aspects to consider; after all, this can greatly affect your IRA account and thus your future retirement! When looking for a self-directed IRA administrator, you should first consider the company’s total experience level. Are they simply a new startup or do they have decades of relevant investing experience? What quantity of funds have they administered? For example, American IRA’s CEO Jim Hitt and his team bring over 40 years of self-directed experience to the table, having administered over $250 million. These are crucial elements that help determine reliability levels along with their degree of expertise. Next, does the firm in question have a solid BBB rating? Also, is their customer service very accommodating? It’s best if they have an A+ rating and don’t lead you down a long chain of phone calls, call routing, etc. For example, we emphasize the fact that you can talk to a live representatives rather than digging through menu after automated menu, contributing to our A+ BBB rating. American IRA charges a low set fee for unlimited assets and unlimited account values. Other companies charge variable IRA account fees – for example, if you have a large account or high number of assets you may be charged more by other self-directed IRA administrators. Yet again, others administrators assign you a new representative for every call; at American IRA we know who our clients are and you can rest assured that you’re always speaking with an experienced IRA administrator. These items should help you establish a reliability and service level baseline for IRA administrators so you can make the most informed decision possible.